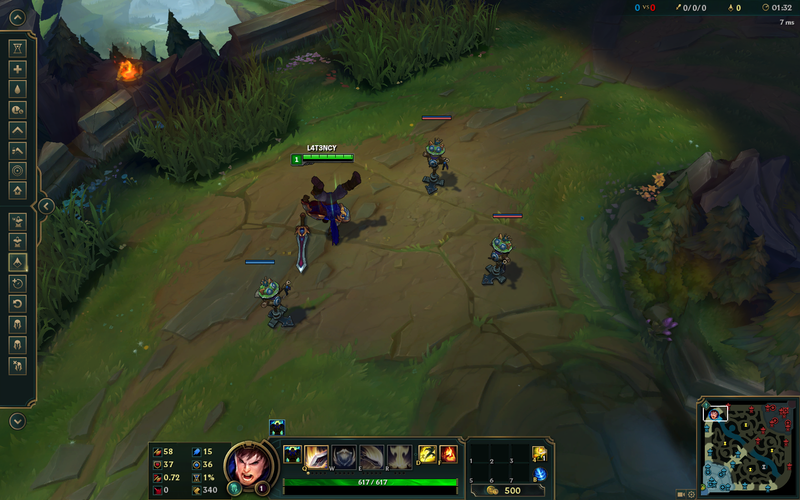 Practice Tool is coming soon to League of Legends, so I wanted to take some time to focus on what it looks like and what you’ll be able to do in it. Let’s get straight into what you can expect from Practice Tool. At its core, Practice Tool is a place where you can train your mechanics. It’s the training gym where you can go to brush up on your Lv1 last hitting, that early jungle gank route or your Riven mechanics. A simple, straight forward, single-player environment that lets you test out things like checking wall flash points or if you can solo dragon with a certain item build, without wasting hours in Custom Games. As League gains more and more similarities to a sport, it makes sense that there be a place where you can go to shoot hoops! Everyone. Whether you’re trying to get from Diamond to Master or just want to figure out how Rumble’s ulti works, we think Practice Tool will serve a gap for you that wasn’t there until now. We’re launching Practice Tool with the following commands. As you can imagine, there are many other commands that could be added, so we had to make some tough choices about which ones to prioritise first. Using our focus points mentioned above as a guide, we’ve aimed at enabling the basics of League that can help all players. Of course, we’ll also be listening to you guys and adding more as needed to enabling practicing whatever League throws at you in the future. So what can I do with these? Let’s get into some example practice scenarios. This will prevent minions from accidentally taking the tower. Fast forward the game 90sec to get minions into the lane. After a few levels, you can hit “Reset Game” and immediately try again with no loading. If you ever want to practice a specific camp, just use the “Respawn jungle” button and force them to respawn over and over. Our development process for Practice Tool has been slightly different than the way we usually do things with other features. We’ve chosen to target getting a ‘bare-bones version’ of the tool working for you guys as soon as possible (so you can start practicing while Season 7 is still young), rather wait much longer to release something more polished but would still have very similar functionality. This means there might be a few things we missed, but that’s where we want to hear from you guys and start the process of improving the tool as we go! Practice Tool will naturally need to update alongside League anyway, otherwise you won’t be able to practice new things that get added to the game (EG: plants are our newest addition to League so we’re obviously going to have to add them). The doors to the Practice Tool training gym will be open soon. I’ll be around in the comments below, so feel free to ask me any questions about what you can/can’t do in Practice Tool.